Over 20 Years of Appliance Repair Experience! Hayes Appliance Repair is committed to repairing your appliances quickly and accurately. 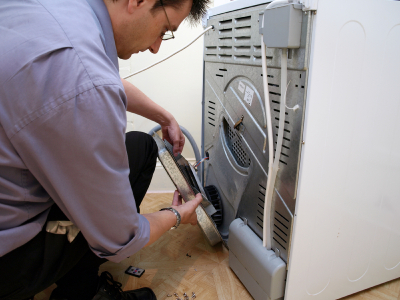 We work around your schedule to save you money by repairing appliances so you don't have to replace them. With decades of experience, we can be the one source for all your appliance repair needs. Why spend hundreds, even thousands, of dollars on a new refrigerator or washing machine when simple repairs could be all you need to get your appliances back in top-notch shape? At Hayes Appliance Repair, we specialize in bringing your kitchen and laundry appliances back to life again, helping you save money by repairing malfunctioning fridges, washers, and more, rather than running out and buying new. As a family-owned business, we understand how disruptive and expensive it can be when one of the machines you rely on to keep your house humming suddenly up and quits. That's why our professional technicians are fully committed to bringing you the highest quality appliance repair at the lowest possible price. Plus, we're happy to arrange our service appointments around your busy schedule for minimal interruption to your day. If you have an appliance that's been acting funny or has flat-out given up on life, don't automatically assume you have to cover the cost of a new one. Think of the money you could save by letting Hayes Appliance Repair work our mechanical magic and get it operating again. Simply give us a call today for fast and courteous refrigerator repair, washer and dryer repair, and more. We're ready to serve you at your convenience, so reach us by phone today! Located just seven miles from Boston in the suburb of Newton Highlands, Hayes Appliance Repair is a welcome respite from other appliance repair companies that give you a limited window of service hours and then charge you an arm and a leg. You see, we still believe in the old-fashioned notion of putting the customer first. So while that may sound kind of corny, it sure does come in handy when you’re stuck with a broken appliance! Whatever type of assistance you need, from GE refrigerator repair to Maytag washing machine repair, we’ll schedule our service at the time that’s best for you, and we’ll set our rate based on the Major Appliance Service National Price Guide, so you can be certain it’s fair. 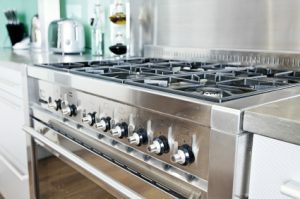 It really doesn’t matter what make or model of appliance you own, aside from smaller appliances such as toasters and electric mixers, if it’s in your kitchen or laundry room and it’s no longer working as it should, we’re the trusted appliance repair team to call for prompt and affordable service. For more than 20 years, Hayes Appliance Repair has been answering the needs of homeowners in Middlesex County and beyond with our winning combination of quality workmanship and honest pricing. In addition to our loyal Newton customers, we’re proud to take care of appliance repair concerns for residents all around the Boston area, including the communities of Brookline, Cambridge, Concord, Dedham, Medford, Milton, Somerville, and Wellesley. The same goes for our neighbors to the north. 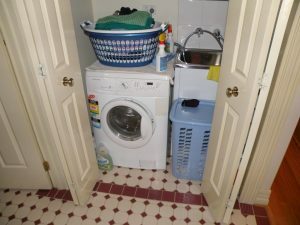 If you live in Peabody, Reading, or Woburn, and you’re seeking dryer repair or garbage disposal repair, look no further than our convenient home appliance repair company. We’ll help you get your household running just as smoothly as ever, with service and satisfaction that can’t be beat. So wherever you reside in the greater Boston area, contact us by phone or e-mail today. 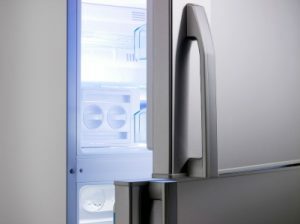 When something is wrong with your refrigerator, freezer, washer, or dryer, leave it to the friendly and qualified service techs at Hayes Appliance Repair to always get it right. While we do provide service for all brands and types of major kitchen and laundry appliances, we exclude small appliances such as toasters, hedge clippers, electric mixers, and air conditioners. We regret any inconvenience this may cause.